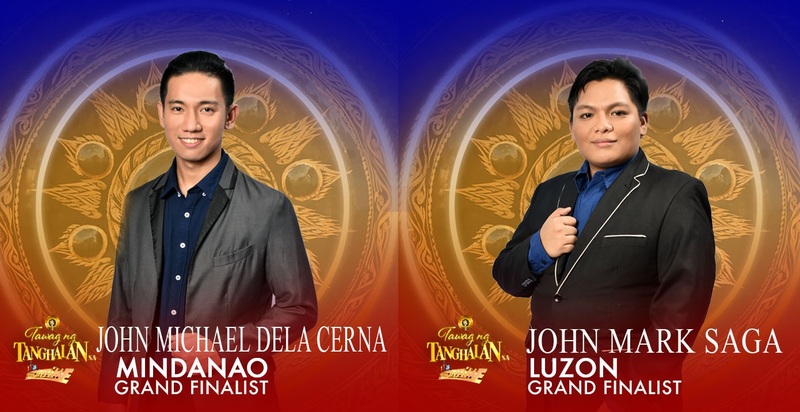 Two JMs were voted by the viewers and the judges to become the newest grand finalists of “Tawag ng Tanghalan” after John Mark Saga and John Michael Dela Cerna won the week-long Quarter 2 semifinals on “It’s Showtime” that concluded on Saturday (January 26). The two singers earned standing ovations from the judges on the last day of the competition, where John Michael was revealed to have received the highest combined score of 98.40% from the madlang people text votes and judges’ scores. The second TNT Record Holder, John Mark, earned a combined score of 70.09%. John Michael, who hails from Davao City, and John Mark, who comes from Dasmariñas, Cavite, both won P150,000 each. Preparations are in order for the two JMs, who will face tough competition in Ranillo Enriquez and the first-ever TNT Record Holder Elaine Duran in the grand finals. Don’t miss the talented Pinoy singers as they battle for supremacy in “Tawag ng Tanghalan,” in the noontime variety show “It’s Showtime,” Mondays to Saturdays in ABS-CBN. For updates, like www.facebook.com/TawagNgTanghalan and follow @tntabscbn on Twitter.